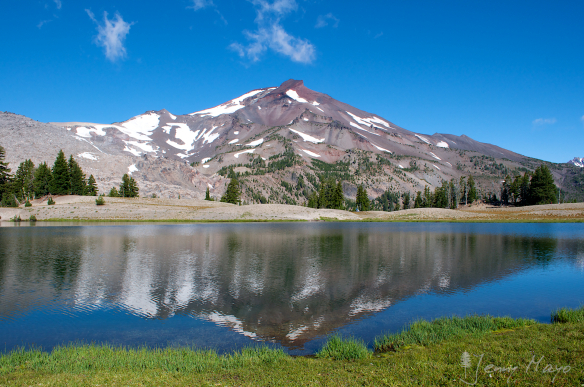 The South Sister has a summit crater which holds a small crater lake known as Teardrop Pool, the highest lake in Oregon. The hike up the South Ridge of South Sister is a long, steep, non-technical hike that can be completed in a day. The Canyon Creek Meadows Hike is a favorite of many Oregon hikers, for a good reason. 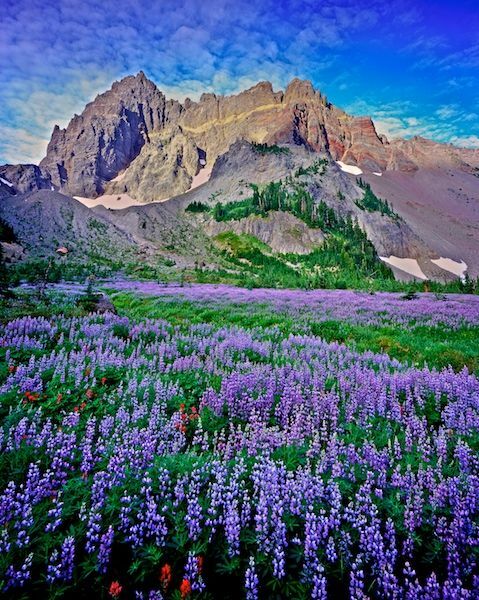 It features meadows, waterfalls, creeks, and a close-up view of Three Fingered Jack. In July and August, tons of wildflowers are in bloom along the trail and in the meadows. The hike takes you along a glacial lake and to unbeatable mountain views at the end. It’s a hidden gem! From the viewpoint you can see the peak of Broken Top, South Sister, Middle Sister, North Sister, Mt. Washington, Three Finger Jack, Mt. Jefferson and probably Mt. Hood on a clear day. 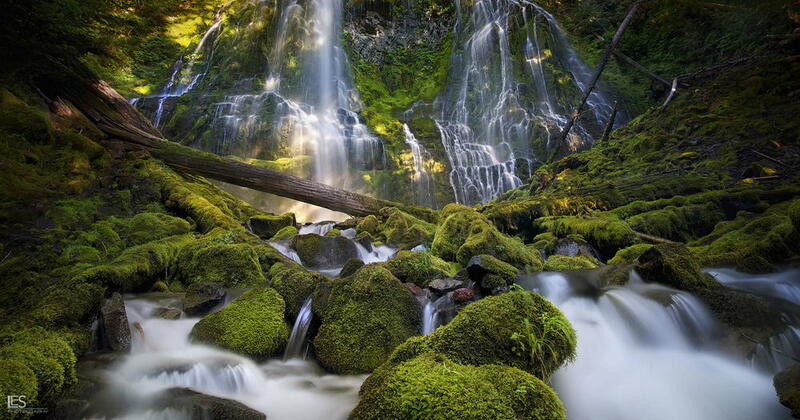 Proxy Falls is absolutely dazzling, even more so in the spring and summer. The trail showcases two distinctly different waterfall views of the upper and lower sections of Proxy Falls. This is great hike for families! Descend from the Alder Springs Trailhead in an open juniper grassland that leads you into the sweeping canyon vistas, and amazing rock formations. Once down at the creek you instantly notice how the life of the water dramatically changes the desert landscape into a lush green oasis. The entire way up the trail you follow Fall Creek, with breathtaking waterfalls around every bend. When you arrive at the top you won’t be disappointed by the amazing views of the lake, the Three Sisters, and Broken Top. This spectacular hike takes you through upper alpine volcanic mountains in the central Cascades mountains of Oregon. Starting at the trail head from Three Creek Lake, you can get some great views of Broken Top, North and Middle Sister and Mt Jefferson. Theres no better way to enjoy the stream's wonder than a hike along the Metolius River Trail. Our favorite stretch of the trail begins at Canyon Creek Campground, about five miles from Camp Sherman, and follows the river through a deep valley to Wizard Falls Fish Hatchery. If you're looking for an easy hike that still takes you into some of the region's most beautiful country, visit the Metolius River in Camp Sherman. Black Butte's summit is a must see for anyone visiting Central Oregon. Sweeping dramatic views abound in all directions on this hike as the trail circles up to the summit of Black Butte. It’s the perfect place to take stunning panoramic pictures. If you’re looking for a family hike in amazing forests, with many views of incredible waterfalls, the McKenzie River Waterfalls Loop Trail is the hike for you!